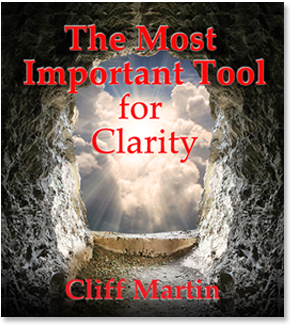 The tag line on my website is that clarity is the path to happiness. The argument is that only by becoming clear on our desires and our outcomes do we make it possible to be happy. Of course we all know many people who got what they desired and are miserable. So what goes wrong? How can you be clear about your desired outcome and be unhappy? The fault lies in a little known phenomenon called ‘incoherence’ of thought. I’m going to be talking about this for the net few posts, as it is important for you as an individual and us as a civilization. Before diving into this let’s talk about the originator of these ideas, David Bohm. Bohm was a brilliant physicist who wrote one of the best books on quantum mechanics. He thought deeply about issues in physics; always looking for clarity; pointing out inconsistencies in conceptions. He ran into political problems during the McCarthy era as he refused to testify against men like Oppenheimer. He left the US and practiced his profession in Brasil and England. Because of this he was never as prominent as his gifts deserved. This didn’t deter him from tackling the biggest issues in physics even though most physicists ignored him. Near the end of his life he tackled the problem of ‘Thought as a System’. He did this in seminars over weekends where people interested in these topics discussed them. Then he published the dialogues. The basic thesis discussed is that most of the problems of our world are caused not by the usual agencies but by the flawed nature of thought. As you can tell by your own reaction to this notion it is a disturbing idea. If we step back and observe the world-without undue emotion- we can see that this idea is not so outrageous. “What possessed the boss to make that decision?” “What idiocy made Congress pass that?” We often attribute these things to greed and corruption. Unfortunately these causes don’t cover all the cases. We can see this in our own lives where we take action that is against our own benefit. What can possibly cause this? Bohm’s theory is that the way we think is a system and that system has flaws in it. In the next few weeks I’ll be discussing this and relating it to the search for clarity and happiness. For now I’ll ask you to think about one pointed thought which I’ve discussed at length in these pages. Here we confront how our decision making and actions can run aground due to tapes and clutter. In future posts we’ll see the relation of Bohm’s theory and one pointed thought.